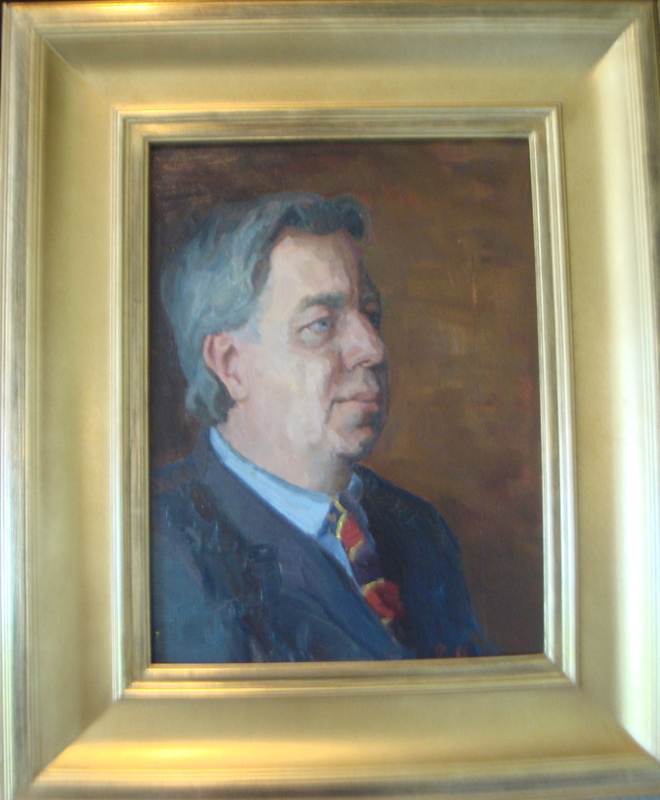 The Publisher (B. Eric Rhoads) by Nicholai Dubovik (Russian) Sept. 2006 painted in the Adirondacks, NY. 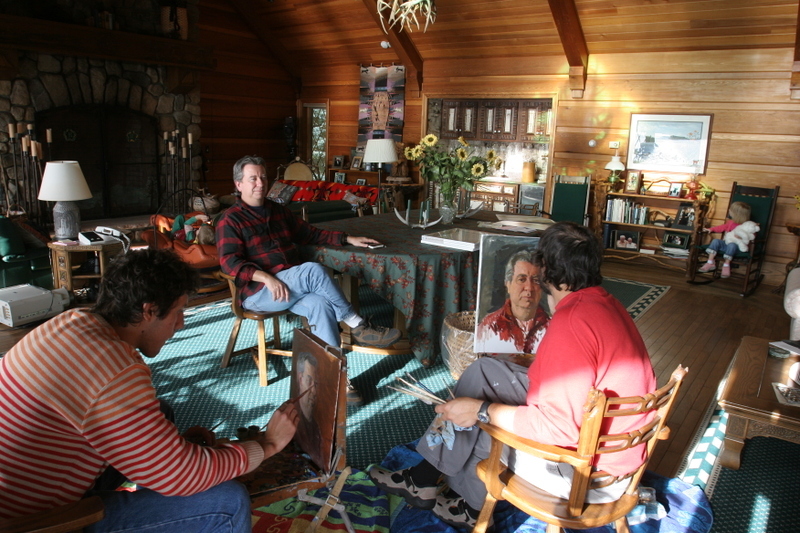 The portrait ran in the magazine from January 2007 through November 2007. While I was visiting Russia in October 2005 with art dealer John Wurdeman of Lazarie Galleries I was introduced to Nicholai Dubovik who is a Russian master artist and an instructor at the Serikov Institute in Moscow, which is one of the finest remaining art schools practicing traditions passed for hundreds of years. Nicholai and I spent each of the 10 days together and we became great friends. His son Kola was our translator along with artist John Wurdeman II. One day while Nicholai was looking at my magazine and viewing the portrait, which Dan Green had painted, he offered to paint my portrait someday. Unfortunately we did not have time during the Moscow visit, so I assumed that someday would never come. In June of 2006 I received a call from Wurdeman who told me Nicholai, his wife Olga (also a very fine artist and teacher) and so Kola would be visiting Virginia for a show of their work as a family. I immediately invited the family up to our family summer lake location in the Adirondacks. The family carved out a week in September 06. I picked them up in Burlington, Vermont and we had a memorable and special week together. 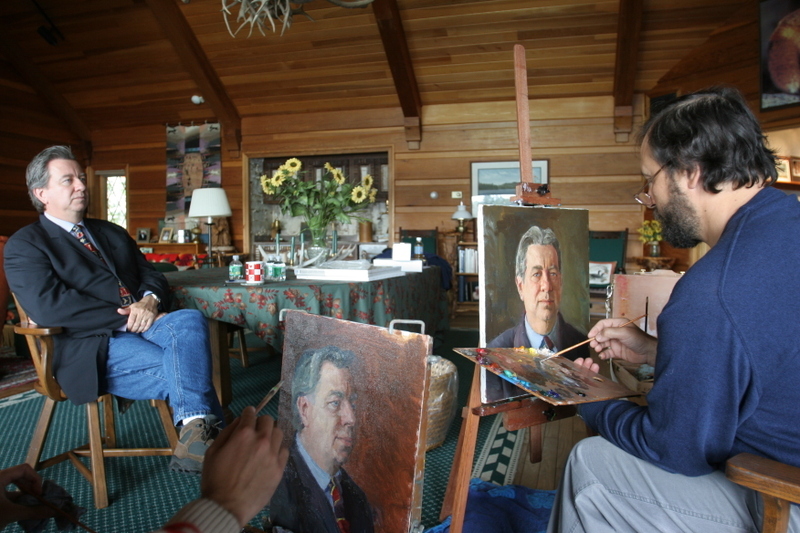 We painted several days on location and Nicholai was insistent on painting my portrait, which took about three full days. His son Kola, a student at the Serikov Institute also painted me at the same time. As you will see from the photos we started with me in a red flannel shirt, however after day one Nicholai decided a more formal approach would be appropriate for use in the magazine. So, both repainted the shirt when I changed into a jacket and tie. Nicholai was not completely satisfied with the outcome of this portrait and has invited the sitter to Moscow for a new portrait where he has more desirable conditions. Kola (left) and Nicholai (right) paint Rhoads in red shirt. 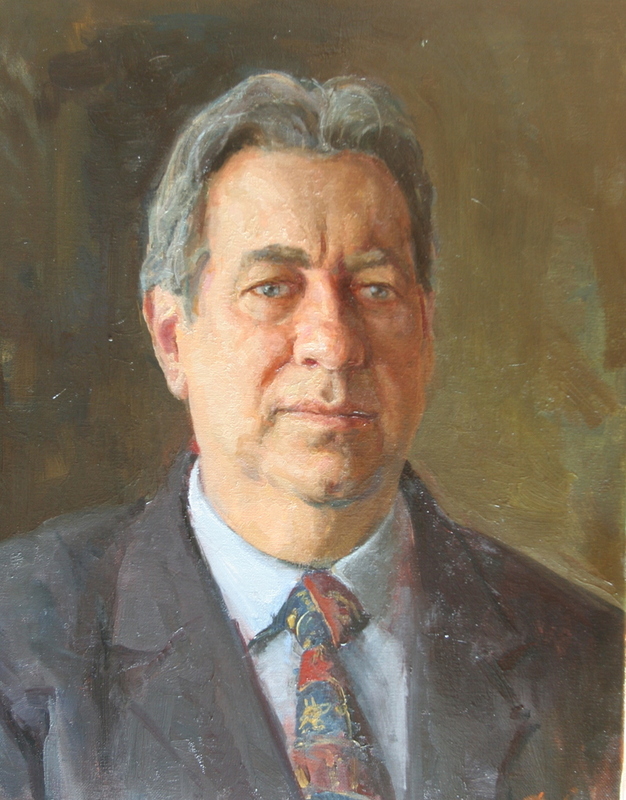 This is the Portrait of Rhoads by Kola Dubovik, son of Nicholai. Kola was 19 when he painted this. Kola is a student at the Serikov Institute in Moscow. Kola's intent was to have this painting cut and cropped differently, however I chose to leave it in the original form. This portrait was not used in the magazine. 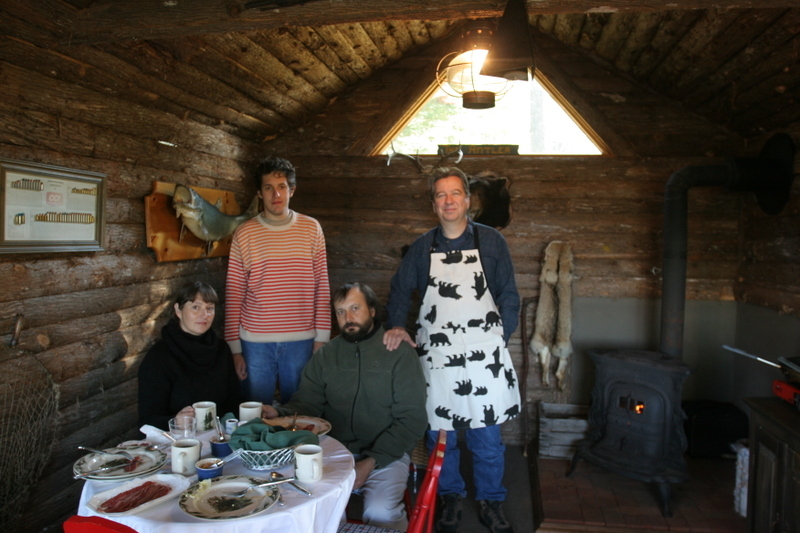 Olga, Kola, Nicholai and Rhoads at our parting breakfast in the trapper cabin, a tradition in camp. Most ticket prices for community sporting activities are sensible and you and your total relatives can enjoy the pleasure of the sport! Soccer started as a higher education sport in the United States in the mid 1800s.